The carrier operates 744 mainline planes that vary in size, carrying 50 to 366 passengers each. For a typical 737 plane carrying 179 passengers, the reduction would mean about 11 pounds per flight. Per the paper, stopping on-board sales of duty-free items like “perfumes, chocolates and liquor” also saved 1.4 millions of gallons of fuel annually, saving United Airlines $2.3 million. 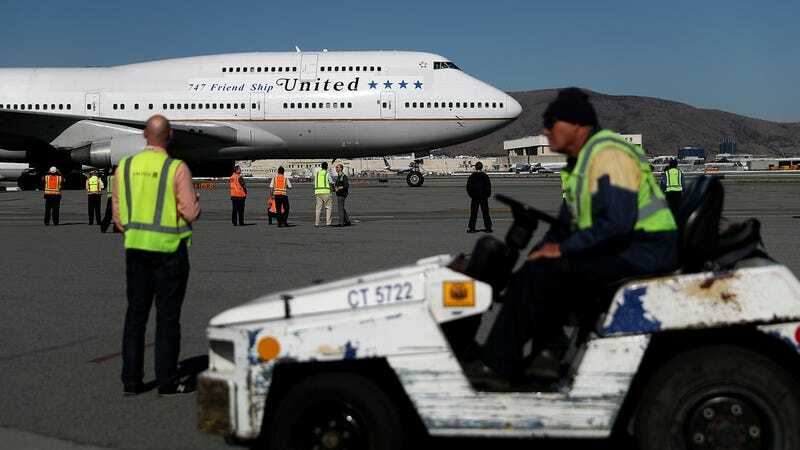 Presumably that also means United was making less than $2.3 million selling the items in-flight or calculated that allowing passengers to pick them up at ground level would not dent its revenue significantly. The Times reported the lighter magazine still weighs 6.85 ounces per copy, so presumably Hemisphere is rolling in some significant cash as well. These are all extremely small relative cost savings for a company with a market cap in the tens of billions, but every cent counts. Saving money is fun and nifty! Yet United Airlines is the same carrier that called airport security goons to forcibly remove and beat up a passenger who refused to vacate his overbooked seat so that it could seat an airline employee, and it recently yet again began cramming more passengers into smaller seats. So perhaps we should think twice before praising their thrifty ingenuity, lest they continue brainstorming ideas.